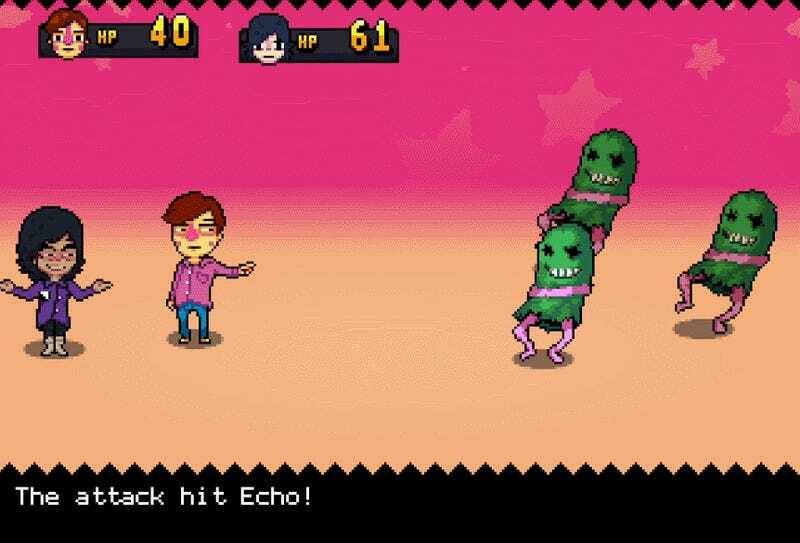 Knuckle Sandwich is an RPG about day jobs and cults caught somewhere between Earthbound and Undertale. Need I say more? It’s never clear whether fever dreams like these will pan out. I also had high hopes for Citizens of Earth, another Earthbound-inspired RPG from not too long ago that ended up feeling more than a little hollow. But Knuckle Sandwich feels different. Weirder-looking and potentially less imprisoned by convention, the game envisioned by Australia creator Andrew Brophy seems to want to take a cracked baseball bat to the genre as well as its inspirations. Instead of focusing on the grind of classic RPGs, however, the game seems to subscribe to the Undertale school of “less is more” when it comes to combat systems and stat progression. 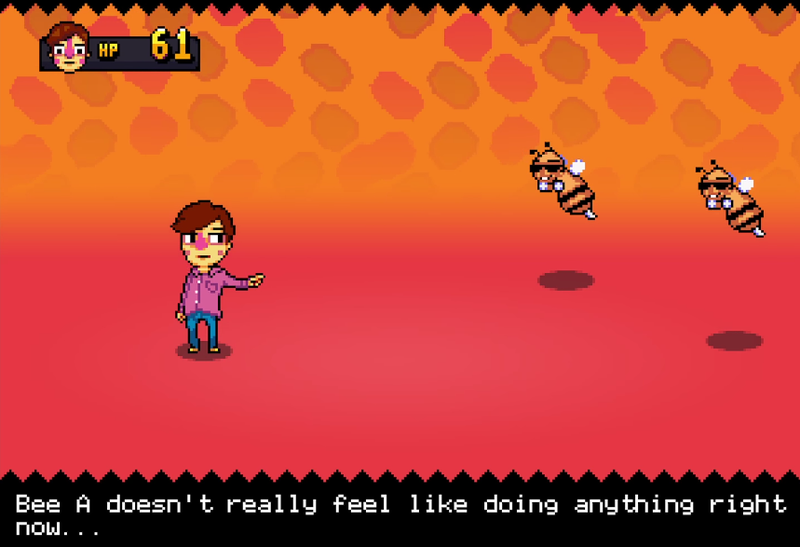 You’ll no doubt fight all kinds of weird stuff the game, but the fights themselves each seem intent on highlighting something weird and interesting about Knuckle Sandwich’s world and sensibility. The game focuses on a main character who’s recently moved to the city to look for work. Late capitalism being what it is, the dude lucks into some low wage labor at a diner. While other games might use that simply as a backdrop, however, Knuckle Sandwich actually will actually have you deliver hamburgers to customers and taking trash out back to the dumpster. From there you apparently get wrapped up in some missing persons mysteries, local crime gang and weird religious cults. It sounds familiar, but in a good way, like someone who played Earthbound in their youth taking the time to re-evaluate it in the cold light of nine to five adulthood. The game is being developed for PC and Mac. While there’s no estimated release date yet, Brophy says on the Knuckle Sandwich site that a demo is in the works.